We have BIG news!! This weekend we teamed up with Joshua Bryan Cinema to film our first ever promotion video for our website! 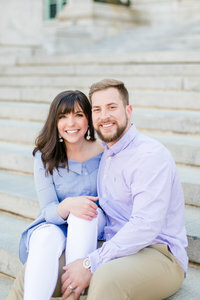 Josh and his fiancé, Erika, (who is also a wedding photographer! ), came all the way to Annapolis from Richmond to film this for us. Our good friends, Paige & Richie, were kind enough to let us use their BEAUTIFUL newly renovated home for some of the filming and then we headed of to Annapolis to the United States Naval Academy to film a mock wedding day to give our couples a look into what it’s like working with us on a real wedding day. Y’all, we could shoot at the Naval Academy ANY DAY. The lighting here is so beautiful, we literally did a ten minute edit to these photos! Most of these are straight out of camera! It didn’t hurt to have us ladies all glammed up by Angelica from Glam By Geli. She did an amazing job making us feel AND look beautiful! We can’t wait to show you the finished video when Josh gets done working his magic. Stay tuned for that in the next coming weeks! In the meanwhile, take a look at these beautiful shots we took during the mock wedding portion of the film!